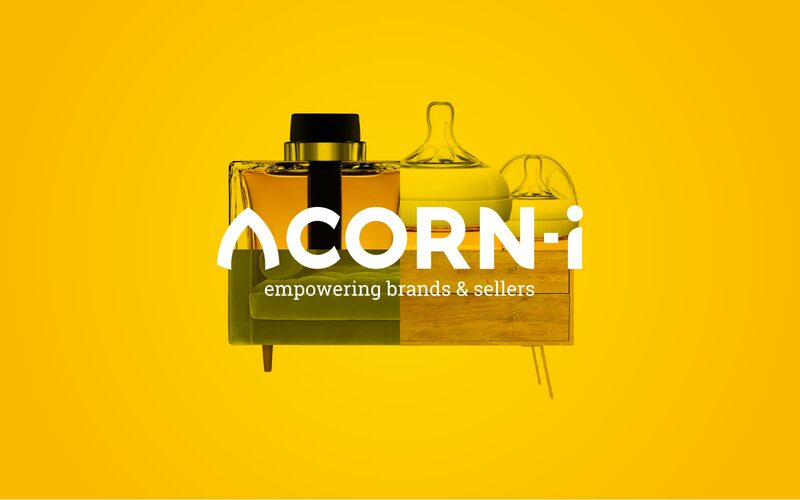 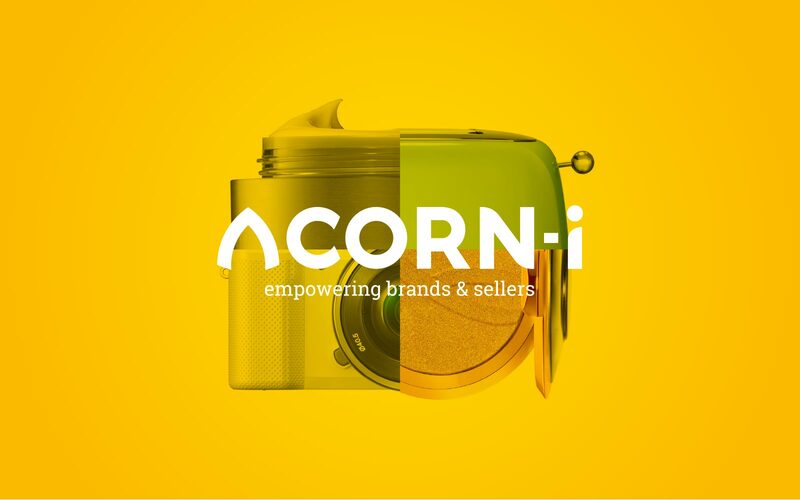 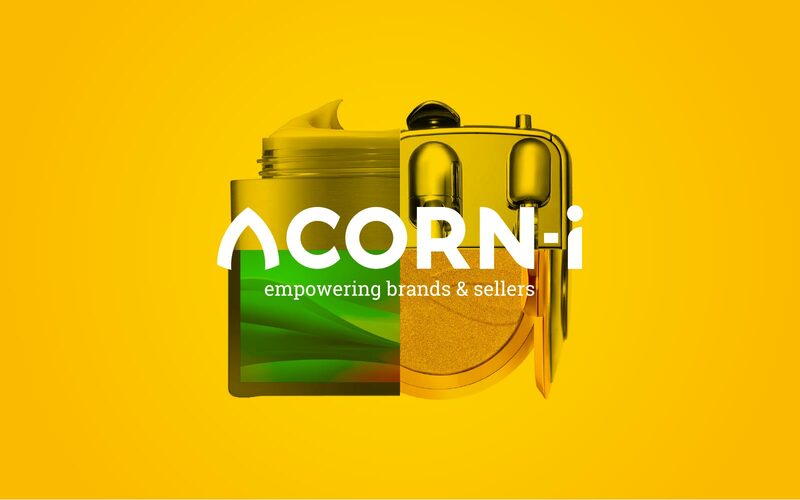 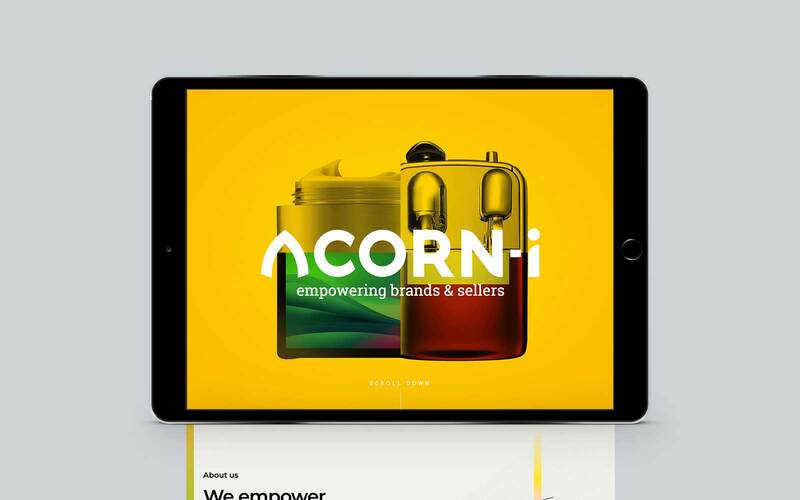 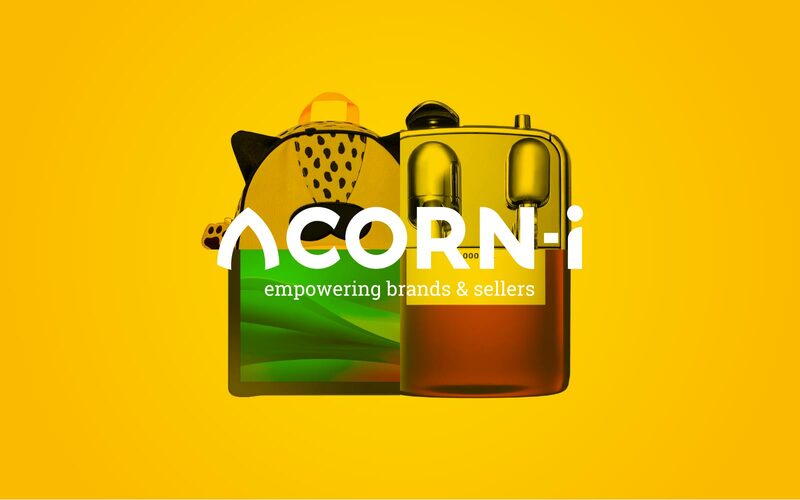 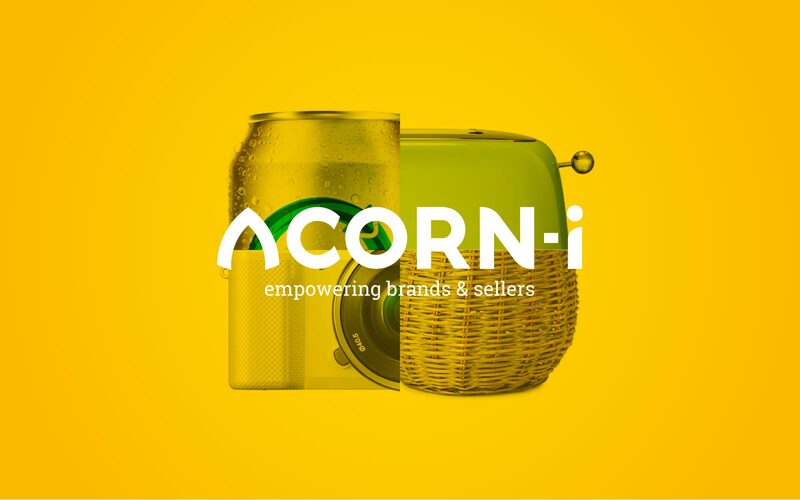 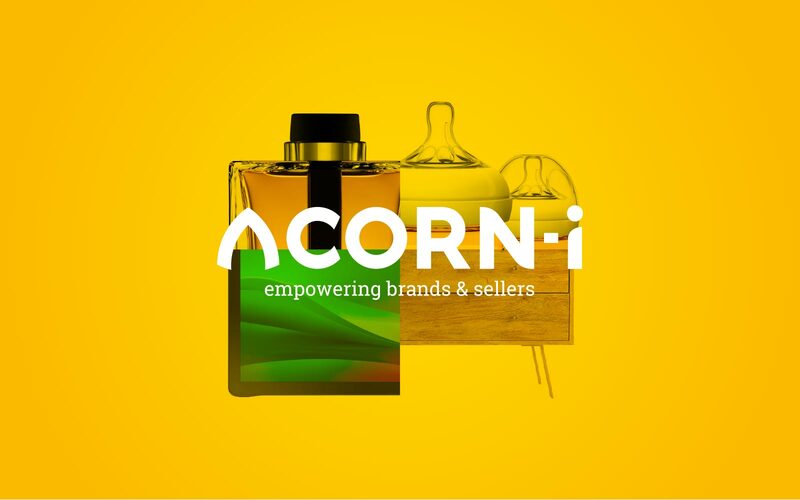 Acorn-i empower brands and sellers to help generate sales on Amazon and ensuring brands are set up for e-commerce success. 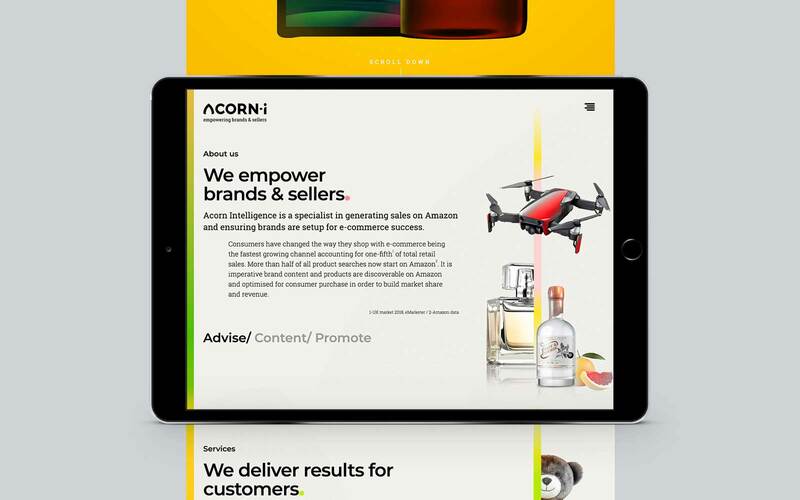 Felix&Friends were tasked to deliver a brand and digital platform that would engage businesses, convey the offer uniquely and help drive success for Acorn-i (Acorn Intelligence). 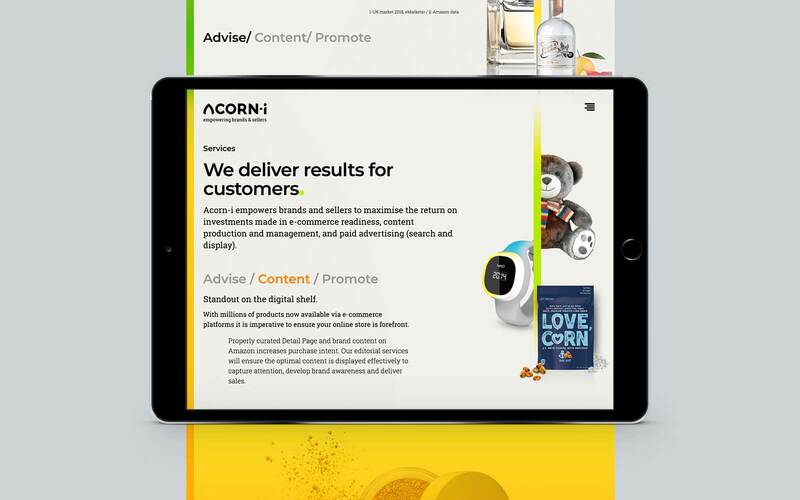 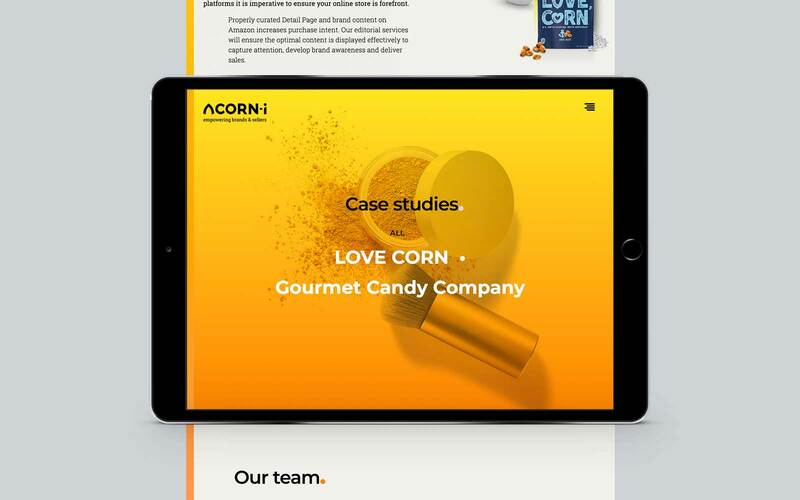 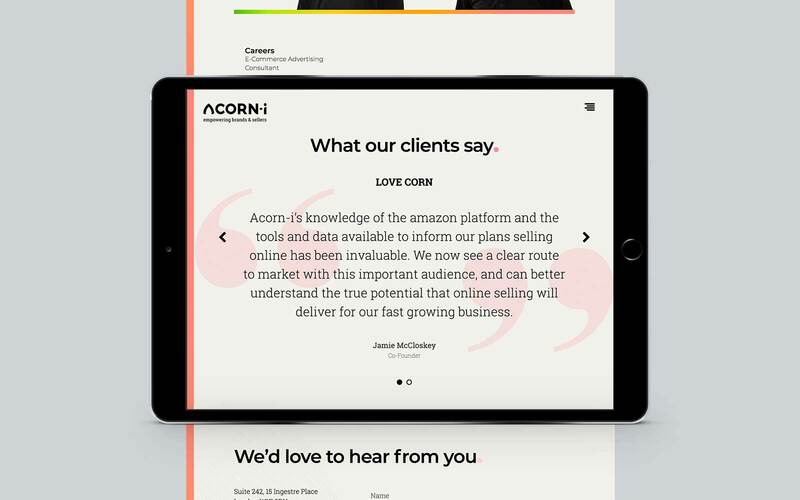 Acorn-i work with an unlimited scope of businesses from all sectors, the client requested this be conveyed instantly but in an appealing and dynamic way. 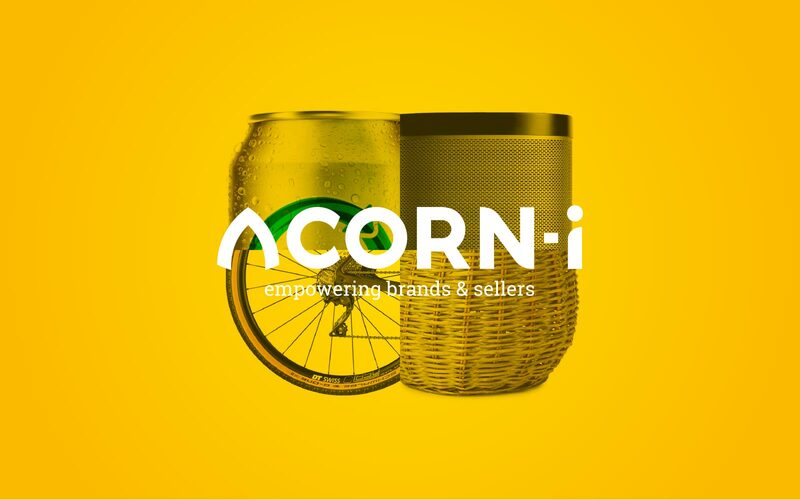 Felix&Friends created a moving homepage, activating various items from various sectors that would present how limitless the Acorn-i offer was for both buyers and sellers. 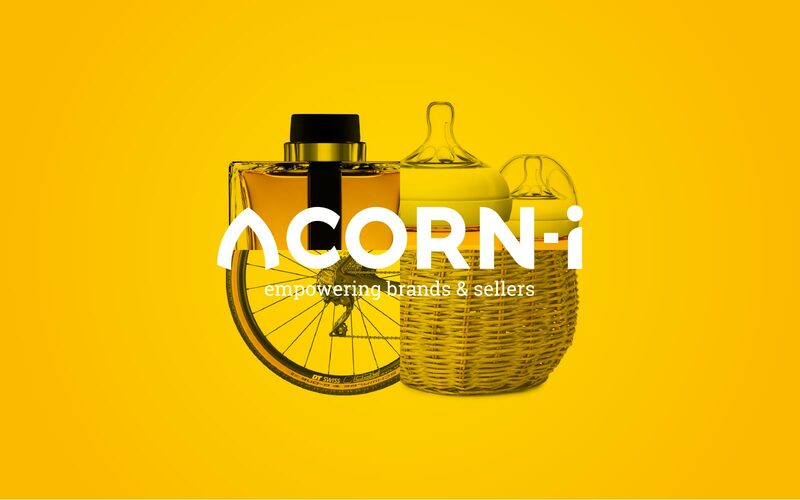 A variety of different items from a myriad of sectors were produced to create differing looks for the brand. 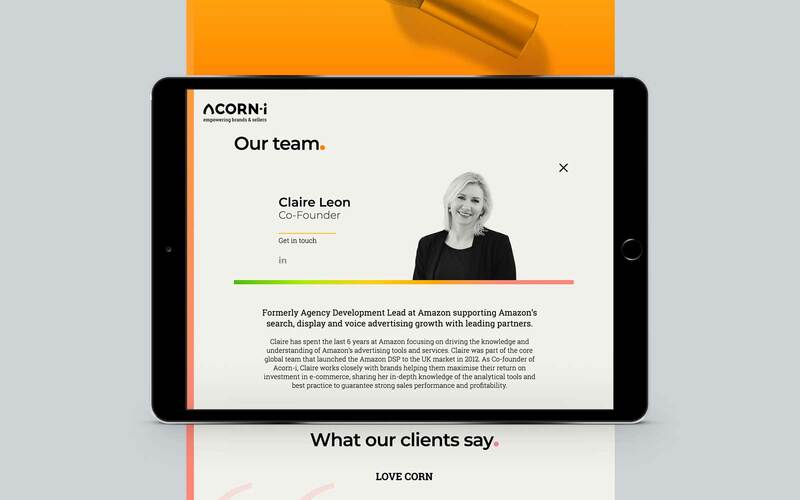 Transferring the animated homepage design concept to a series of business cards were delivered along with other corporate stationery.